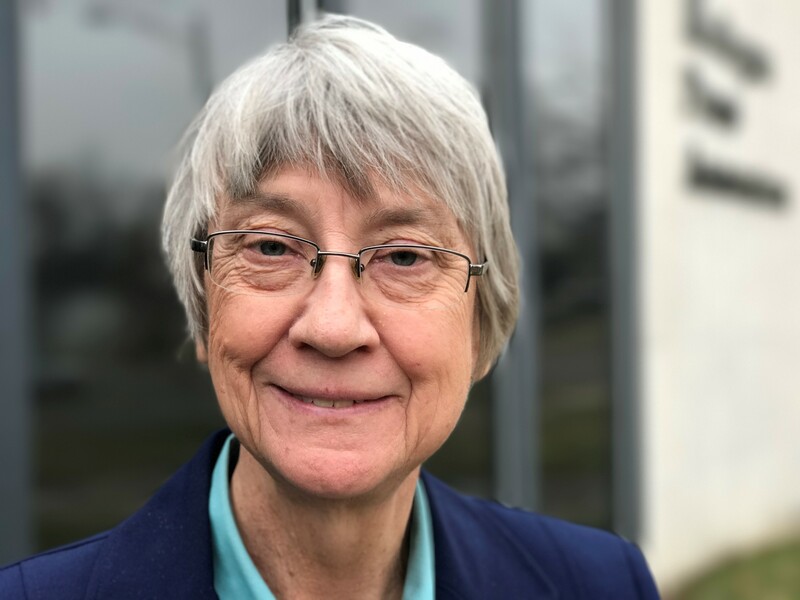 Jane Briggs-Bunting is the founding president of the Michigan Coalition for Open Government, a tax exempt, Michigan nonprofit corporation founded to promote and protect transparency and accountability in government at the local, state and federal levels. 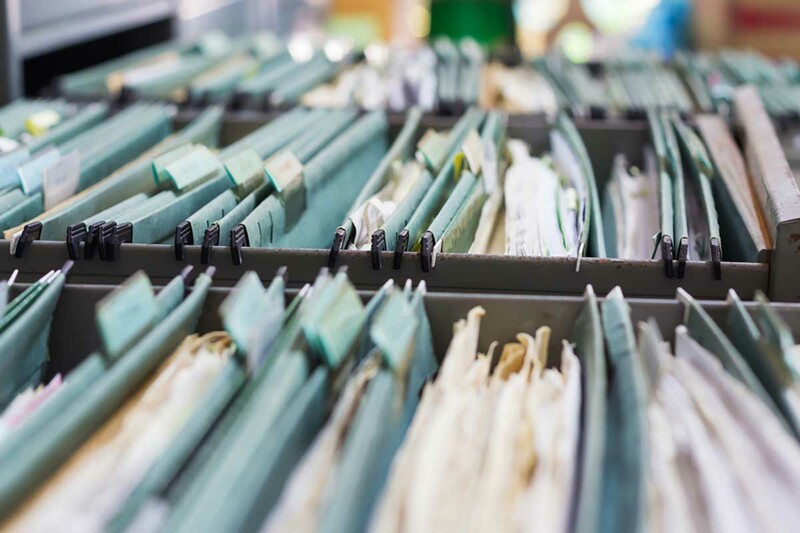 In 2016, a bipartisan group of 37 Michigan state representatives banded together to introduce a series of bills called the Legislative Open Records Act (LORA). These bill weren’t perfect, but they closed two glaring flaws in the state Freedom of Information Act (FOIA) by making the governor, lieutenant governor, the 110 members of the state House and 38 members of the state Senate subject to the Michigan FOIA. Although the bills overwhelmingly passed the state House by a vote of 100-6, they never got a vote in a Senate committee. Ditto for a more modest bill that also never escaped the Senate Government Operations Committee. This reform-adverse minority of politicians is one reason Michigan ranks as the nation’s worst state government for transparency, earning a failing grade from the Center for Public Integrity’s most recent report, released in December 2015. Michigan earned failing grades in both executive and legislative accountability, as well as an “F” in public access to information. Last month, a bipartisan group of 60 House members, some veterans and some newcomers, introduced a modified version of the original LORA as House Bills 4148-4157. With 110 members in the House, this majority bodes well for swift reconsideration and passage. We hope the measures rocket through to unanimous passage in the House. In a similar effort in the Senate, Senate Bill 83 was introduced by six senators. It would require legislators to be covered under FOIA. Unfortunately, the bill was referred to the Senate Government Operations Committee, where other FOIA bills died last year without any debate. In the interest of open government, the same should not be allowed to happen this year. These bills would remove the curtain of secrecy that shrouds backroom deals and corruption, make legislators more accountable to their constituents and bring Michigan in line with other states. The tragedy of the Flint water crisis could have come to public light months earlier were emails and memos in the executive branch tied to the governor’s office disclosed when citizens and media started asking questions. Gov. Rick Snyder, to his credit, released many of those records. But there is no way to know if all have been released. There also is no way to guarantee that a future governor would do the same. Michigan is the only state that statutorily exempts the governor and lieutenant governor from the requirements of public disclosure of records under FOIA. Though the original 1976 FOIA statute included the legislature, a 1986 attorney general’s opinion said the opposite, and the Legislature has used it to exempt its members from disclosure ever since. In January, Senate Majority Leader Arlan Meekhof told a group of journalists at the Michigan Press Association annual meeting, “You guys are the only people who care about this (FOIA).” He’s wrong about that, as we at the Michigan Coalition for Open Government know from our interactions with many citizens throughout the state. The people deserve better. We challenge the state’s lawmakers to make Michigan a leader in transparency, openness and accountability by swiftly passing HBs 4148-4157, and for Gov. Snyder to sign these bills into law. At the Michigan Coalition for Open Government, we pledge to watch closely and report what occurs to the people of Michigan. March 12-18 may be Sunshine Week, but openness and transparency in the people’s governments is something to safeguard all 52 weeks of the year. But, but but...how else would things like Capitol View, unwanted MSP HQ, the "Gilbert Bills", SB-97, not to mention paving the way for a very lucrative post-legislative career as a consultant/lobbyist for the wheelers and dealers behind several of those examples (and more)? I mean, it's not as if Michigan legislators are spending THEIR OWN money on these cockamamie schemes? Obviously, making government records easier to access would make the above and future "deals" harder to fulfil. Posted to Facebook. Here in Emmet our senator and representative, state, are open and attend town meetings and listen . When Freedom of Information stops being an 'I Gotcha' for the media and critics, and becomes a tool for learning and understanding then it will begin to have real value. If the idea is about transparency then the focus should be on actions, on policies/protocols and the conformance to policies/protocols. The reality is that the best thinking is done when it is uninhibited and every word isn't under scrutiny. Public/media/critics scrutiny is chilling and discourages open discussions and a wide breath of consideration and refinement. Many times I had been in conversations trying to figure out the risks and the means to address them. If they were made public in the current media environment, those conversations could have create significant distress for my employer and all that was discussed provided the best results for the public. It is very beneficial for people to speak openly, making their mistakes and being corrected, talking about the extremes in frank ways, so what they say should not be made available to the public because what was said would never be able to be present in the actual context so they would be properly understood and accepted. At best the media/critics presentation would so distort what was said that the speakers would be discourage even prevented from ever having such conversation again. Duh!!! FOIA is NOT about intervening in frank conversations! It is about DOCUMENTS, things which have been placed in government files. It does not stop anyone from having "frank" conversations. But legislators and executives do need to take care of what they put down on paper or in emails, and of course, when they are subject to such disclosures, they also learn to be more careful of what they write. Does this make the job more difficult? Sure! But no one has a RIGHT to hold a public office. Winning is not a lottery ticket; it carries with it an obligation to serve ALL of the people, ALL of the time. If that is too hard for one to understand and abide by, then he or she should get out of the kitchen. Speaking as the Treasurer of a Detroit metro interfaith public affairs organization, known as MOSES, one of our five main concerns is to obtain a more honest, above-board government at all levels. I can personally say that being subject to FOIA, was always thoroughly in the best public interest. Why do you think people should have to take special care with their words in any document, in conversations, in official or unofficial activities? My understanding that discussion/communication [such as those reference by Ms. Bunting about the Flint situation] are recorded and become part of government records, why should we encourage the people involve to be more concerned about their wording then the issues at hand and speak clearly and bluntly. I for one am concerned that there is more risk in misunderstanding when people are trying to say things in ways that public scrutiny will not caused them to be disparaged. How often to we see FOIA records used to attack the speaker compared to how many times they are used to hold the speaker up for praise? It seems to me it is what people do that needs to be more public not what they say. I would rather see the actions of those in government regularly verified to be in conformance with policies/protocols or described why they diverge than I would want to know what was talked about. Here in America everyone must be accountable in every way. If you are concerned that what you say can be misinterpreted than think before you say it. Then if it still didn't come out the way you intended you have an obligation to explain why your words didn't convey what you intended. As a parent, I told my children that everyone is accountable for your actions and words. As a parent I must be able to defend my position - to explain why. I told them I wouldn't always be right and neither would they but everyone must explain the reasons for their actions and words. Only in that way of operating would everyone know the reasons why and have a chance to understand others and the complete issue plus the possibility that they are wrong. Anything less than that is is contrivance and avoidance. Today even though one is imperfect they have the right and obligation to ask others to reach for perfection and not feel guilty about it. How do we hold others, let alone ourselves, accountable? Is the media doing that when their headlines are focused on blame or when their critics only fault in what is said and done? I worry that when people talk of holding others accountable they are only looking for the failures and ignoring the successes, and by doing are discouraging people taking risks and succeeding. I am particularly concerned when we haven't found a way to recognize and encourage success of actions when we hold people accountable and if we include words we not only discourage people acting we discourage people from speaking and thinking. If total accountability is the "American" way, why is there not a broad effort to require businesses, places of worship, individual households, etc. to publish all their communications to the cloud for public consumption? We've conditioned society to believe that the public should have total clarity into the dealings of the government, but that private business is free to be mostly opaque, even in instances when they provide similar services -- such as healthcare, education, utilities, etc. Anymore, the private version of these services is largely provided by megacorps whose budgets and bureaucracy rival those of the government and whose bottom lines are similarly and negligibly impacted by our own minuscule contributions. The spirit of FOIA is a meritorious -- the issue is that continues a double standard which is no longer warranted and is better at driving privatization rather than any meaningful acquisition of the truth. Ms. Briggs-Bunting says, "These bills would remove the curtain of secrecy that shrouds backroom deals and corruption, make legislators more accountable to their constituents and bring Michigan in line with other states." Can she cite any cases of corruption in Michigan's past that would have been prevented by these bills? And it may be that "Michigan earned failing grades in both executive and legislative accountability, as well as an “F” in public access to information." in the latest report from the Center for Public Integrity, but is that particularly meaningful? Is there any correlation between the grades given by the Center and the level of corruption and bad government in the various states? As I recall, there is not. It seems to me that, while we may not have always pursued wise policies, there hasn't been much corruption, certainly none that would have been prevented by this package of bills. Honesty and integrity are largely a matter of culture and that cannot be legislated. She says, "The tragedy of the Flint water crisis could have come to public light months earlier were emails and memos in the executive branch tied to the governor’s office disclosed when citizens and media started asking questions." Bridge has done extensive reporting on this issue, and has even published a book about it. Can she cite an email or memo tied to the governor's office that would have brought the Flint tragedy to light months earlier? And if there had been such a memo or email, what would have prompted citizens or he media to look for it? "Can she cite any cases of corruption in Michigan's past that would have been prevented by these bills?" M.O., unless someone has access to a TARDIS, that is a loaded question which no one can honestly answer. However, there are several examples included above in which our elected "representatives" clearly did not act within the best interest of the Michigan Taxpayer, but rather favored certain individuals (i.e. Joel Ferguson & Ron Boji) in the process. When those same actions became publically known (after the fact), instead of addressing/eliminating the problem, their successors merely shrugged and stated that the decision was out of their hands. I travel around enough to know that Michigan is certainly not alone with its elected officials doing things that they know that they wouldn't be doing otherwise if people were actually paying attention. But that is certainly no reason to make it easier here in Michigan for our employees to do just that. Mr. Grand says, "I travel around enough to know that Michigan is certainly not alone with its elected officials doing things that they know that they wouldn't be doing otherwise if people were actually paying attention." He is absolutely right about the necessity of people actually paying attention. That is key. People do not pay attention to the information that is readily available.. I certainly support transparency in government, the availability of government data to private citizens and groups of private citizens. But the benefits of extending FOIA to the legislature and governor have been oversold. What all of them do is a matter of public record; voters have no problem making judgments about what they do and holding them accountable. Ms. Briggs-Bunting has not made her case. M.O., care to explain how the Michigan View deal was made or why the MSP got a new headquarters building they didn't want? Those examples may have been public record, but the public only found out about those dealings after the fact and when nothing could be done. If our elected officials were not worried about accountability, why the delay? And if you don't believe that the public doesn't pay attention (well most of us anyway), how are the "Gilbert Bills" doing? Does Mr. Grand have any reason to believe that the Governor and legislature being subject to FOIA would have prevented the two examples he cited? And does he believe extending FOIA to the Governor and legislature would make any difference concerning the Gilbert bills? Some how, officials in Michigan’s local units of government have managed to perform their duties and develop beneficial public policies while acting in compliance with the Michigan Freedom of Information Act (FOIA) for about 40 years. I have a hard time understanding why the bodies that enacted our state FOIA and made it applicable to most other officials can’t follow the law as well. Instead, they have let stand an Attorney General opinion that exempts members of the Legislature from FOIA disclosures. I am not suggesting that FOIA should be done away with, but that FOIA be applied to all governmental units and officials, including the Governor and Lt. Governor, throughout Michigan. If Senators and Representatives continue to receive special treatment (not being subject to FOIA disclosure), I have a special request, too: Please exempt me (well, all voter records) from FOIA requests. Sharing citizens’ names, addresses, party affiliation in primary elections, and voting records is not required to advance public policy development. Rather, sharing this information could be considered an invasion of personal privacy, as well as a tool for committing voter fraud and identity theft. My point? If you look for it, there will always be reasons for not wanting to share information. And, there is some information that most of us don’t want to share. A few Senators should not prevent the Michigan State Senate from considering a bill that would make access to public documents/information more equitable and open. Why in the world would Senator Meekhof want to prevent a vote on 2017 Senate Bill 83 (Extend FOIA to Legislature) from taking place? There are 38 state Senators, and they should all be allowed to vote on the measure.